Residential, Multi-Family, First Time Buyers, Investment Properties, Luxury Homes, Relocations, Land, New Construction, Short Sales, Foreclosures and More! My wife Janet and I have been married over 20 years. We have one son Lorin and 4 daughters Ashley, Sally, Emma and Claire. We moved back to Idaho in 2002 and can't imagine living anywhere else. We love the great people of Idaho and are grateful for the quality of life to be found here. We live in Meridian and love that we have a new temple here. We also appreciate the great schools, available family activities and the strength of the church in this part of our great country. We love doing family history, hiking, fishing, hunting, camping, white water rafting, boating, snow skiing and enjoying the hot springs out near Black Canyon Reservoir. Stewart Realty is located in the heart of Idaho's Treasure Valley in Meridian, Idaho just west of Boise. Broker Jeff Stewart has been working in the Idaho Real Estate industry since 2002 as an appraiser, obtained his Real Estate License in 2004 and opened Stewart Realty in 2007. After working for two other local brokerages Jeff could see great need for a brokerage that was truly client centric and who provided true client representation and someone who had an excellent working knowledge of the many various technical dimensions of real estate. The years Jeff spent in the real estate appraisal business gave him excellent knowledge to serve and protect his clients, knowledge that most agents don't have. Due to his diligent practice of real estate Jeff has achieved significant business relationships, resources and developed many long-lasting friendships with hundreds of satisfied clients as well as other local & national real estate professionals. Jeff has also achieved an A+ Rating as an Idaho BBB Accredited Business for his commitment to high ethical standards. Jeff offers full-time dedication to the real estate profession; a level of commitment that places client interests first; the ability to both listen and hear; a strong sense of accountability; up to the minute knowledge of the local market, contributing factors and current trends; fair and professional treatment of all parties in a transaction, superior negotiation skills; flexibility and an intelligent, creative approach to negotiation conflicts. 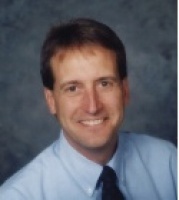 Since 2002 Jeff has appraised or sold more than 900 properties in the Boise Idaho real estate market. As an owner of rental income property he can also show you how to buy right and make good income in the Treasure Valley Rental Property market with annual net returns of up to 12%. You can call or text Jeff direct anytime at 208-602-1993. As first time home-buyers, my wife and I could not be happier that we found Stewart Realty. We are fairly picky, and we even completely changed the type of property we were looking for multiple times mid-way through the process. I’m sure that’s a little frustrating for a realtor. But through it all, Jeff was nothing but patient, helpful and very honest. He gave many helpful suggestions along the way (did I mention that we were first-time home-buyers? … we knew nothing about the process) and genuinely had our best interest at heart. We will be contacting Jeff again the next time we need to buy or sell real estate in the Meridian area. I’ve purchased several homes over the years, but I’ve never worked with any realtor the caliber of Stewart Realty. They far exceed their goals of providing the best possible service, demonstrating flawless integrity and assuring that you get the results you desire. To that end, they make it their mission to meet your needs by asking pertinent questions, taking the time to listen well, and doing everything they can to make the process run smoothly. They provide a timeline of what to expect as you interact with the mortgage company, the escrow company and the home inspector, and gladly attend related meetings to support you. Furthermore, they are consistently kind, good natured, accessible, and helpful, which makes it all a very enjoyable experience. I can’t say enough good about Stewart Realty. Stewart Realty has been such a huge help to us! Stewart Realty has been such a huge help to us. In 2011 they helped my husband and I find a house and buy it. They helped all along the way. Jeff was honest with us with every question we had, and really listened to what we wanted. He showed us houses that weren't at the highest of our budget but in the middle. He helped us find the best starter home for us that we could start a family, and in an area that we wanted and was close to family. Three and half years later (2015) Jeff came to the rescue again in helping us sell our home. Stewart Realty gave us information about everything we needed to do to get our house ready for a sell. They kept us in the loop through the entire process of the sell. And made closing very easy for us after we had moved out of state. We have recommended Stewart Realty to many of our friends and family. They are THE BEST!!!! Jeff and his team were phenomenal. We bought our house and sold our house with him and he was a total professional. He used techniques that benefited us and protected us through the entire process. We had some challenging situations and he had an answer to every problem and resolved every situation. He was with us every step of the way and was physically there with us every step of the way. He came to our closing and signings, he was there when we had contractors come, was there for the inspection, and was available to us whenever we needed him. It is really too bad that there is not an option for additional stars on his rating because he deserves them. He is honest, fair, and ethical. He follows through on things, and always exceeds expectations. He and his home inspector caught some things that could have cost us thousands of dollars to fix and helped us negotiate with the owners to get them fixed. We watched him take the high road many times when others may have done something less. We are totally impressed by him. The communication with us and other realtors was phenomenal. He knows the market better than anyone and made solid pricing recommendations when we bought and sold. He was exactly right. However, he never pushed us to do anything. We listed where we felt comfortable and he completely supported us and helped us to get top dollar for our house we sold. His thoughts on preparing our house to sell were excellent and his overall knowledge of the process is always right on! He researched things out and knew exactly where we should be. His feedback from anyone that walked through our home was extremely helpful as we tried to market it. We have worked with other realtors and can compare him to others. He was incredible and stands above anyone else we have worked with in the past. Really not even a comparison. He is patient, kind, and well respected! We will work with him on our next real estate deal. THANKS JEFF! I highly recommend Jeff as your realtor! I highly recommend Jeff as your realtor! He first sold our house quick for more than we'd hoped, giving us great advice on how best to go about it. And then he found the perfect house for us to purchase too. Jeff was able to move quick so that we didn't have to move into an apartment in between either, which was great. He has great contacts to help make the whole process smooth and easy, like carpet cleaners and handyman services. The whole experience could not have gone better - thanks Jeff! We couldn't have made a better decision! When my family and I decided to relocate from Midland, TX to Meridian, ID, we knew our greatest challenge would be finding a house that would fit our needs and wants for a growing family of 5. After emailing several real estate agencies, we chose Stewart Reality. We couldn't have made a better decision. Not only did Jeff know the area very well, he was able to provide us with insight and great information. His communication was prompt; we never felt like we were three states away. Thanks to his commitment to us, we have found our new home. We highly recommend Stewart Realty. Jeff helped us save a lot of money, but even more he made the whole experience enjoyable! My wife and I recently purchased our first home. A friend of ours introduced us to Jeff shortly after we had seriously begun looking for a house. At that point we had not selected a Realtor and were impressed at how much Jeff offered to help without demanding that we immediately sign a buyer agreement. We had looked at many homes on the internet, but found more value in visiting some of the listings with Jeff. As we continued searching, Jeff e-mailed us a listing of a short sale close to our area and called to see if we wanted to look at it. That evening we put an offer on the house and not long after we had purchased our first home. Jeff helped us save a lot of money, but even more he made the whole experience enjoyable. He organized everything with everyone, never pushed us into a decision, and even helped with some of the small repairs we wanted to make. Thanks Jeff, for everything!